What is the 52 Week Savings Challenge? The 52 Week Savings Challenge is a savings method made popular on social media as a way to incrementally save a small amount each week into a savings account. The concept is to start out small and work your way up. The very basic plan is this: starting on the first week of the year, save $1 in a savings account. The next week, save $2 and so on. At the end of the year, your last payment of $52 will give you a grand total of $1,378 in your savings account. The idea is that you’ll be able to easily adjust to saving more and more as the weeks go by. The small payment increments help ease the expenses into your budget. It works best if you have a dedicated savings account setup for the plan. The savings challenge is integrated into the optional bill management module of Undebt.it+ so it will work seamlessly with your other bills. You can even have more than one 52 week challenge if you like. 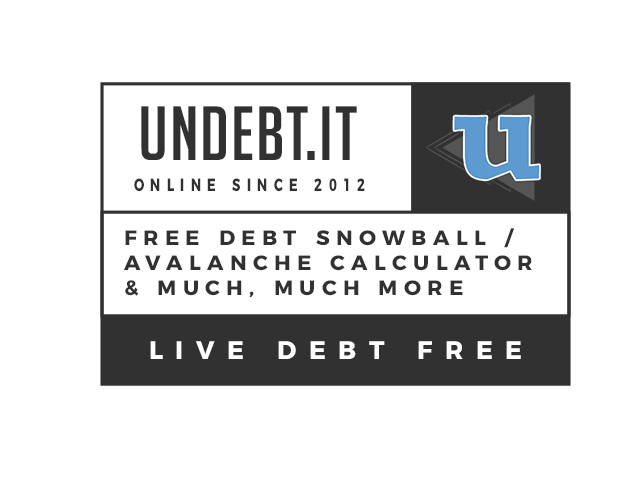 There's a free 30 day Undebt.it+ trial you can turn on if you want to try it out first. To get started, all you need to do is create a new bill account. Once you've logged into your account, click on the Account List link on the left menu. Go down to the Your Bill Accounts section and click on the Add New Account button. Make sure you select 52 week savings challenge as the type of bill. You can also choose your starting amount - most people choose to start out at $1. Now that you have created your savings challenge account, a bill entry will automatically be added to your payment planner. Whatever date you chose when you created your account is the first date of your payment. Check the Dashboard and you will see your bill entry scheduled for the due date. That's really all you need to get going; just keep treating the savings plan like a bill and transfer the amount to your savings account each week. Everyone likes options and Undebt.it+ gives you plenty of them when it comes to the 52 week savings challenge. To see more choices, just click on the your savings challenge account on the left sidebar to get you to the details page. The Settings & Info tab has all of the different options. Standard - small to large. Backwards - large to small: (the $52 payment first so it’s easier on your budget in December). December is usually a very spendy month, so this may be a good option. Fixed Amount: Not quite as exciting as bumping up the payment each week, but this option works for those who like operating on a fixed monthly budget. Saving $26.50 each week will net you the same amount at the end of the year. The Increase Payment By field will be ignored. Starting Amount: The standard plan starts out at $1, but you can start out at whatever amount you like if you are able to afford more. Increase Payment By: This is the amount that the plan will increase by. The default is $1, but if you change it to $2, you will end up with $2,756 at the end of the year. The Repeat Frequency and Every fields control when each bill will be due; the default is once every week. You can change it repeat monthly if you'd rather make a lump sum payment rather than weekly payments. Leave the Repeat and Autopay options enabled so the bill entries are automatically created for you.